After church we came home and had some yummy food and hung out together. We watched a Winnie the Pooh Christmas movie, put out the reindeer food and Santa's cookies and milk, and read The Night Before Christmas. Wait, these cookies are for Santa?!?! 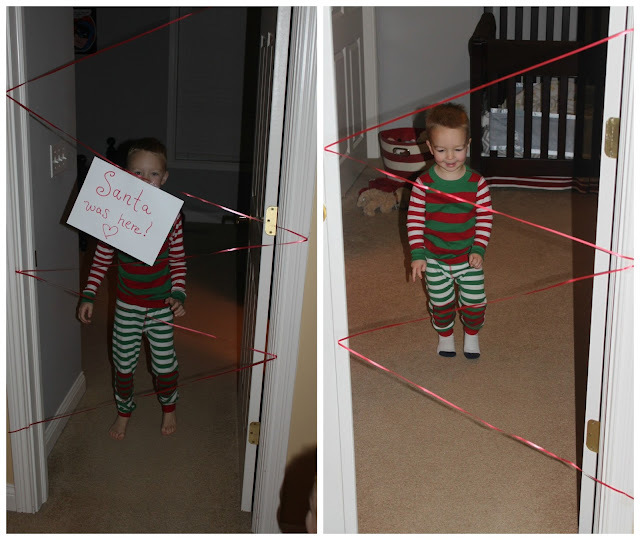 Santa always leaves ribbon on the boys' doors to run through in the morning, they love it! Chase LOVED finding Oshawatt (Pokémon character) and Bolt under the tree! This kid loves his Legos! 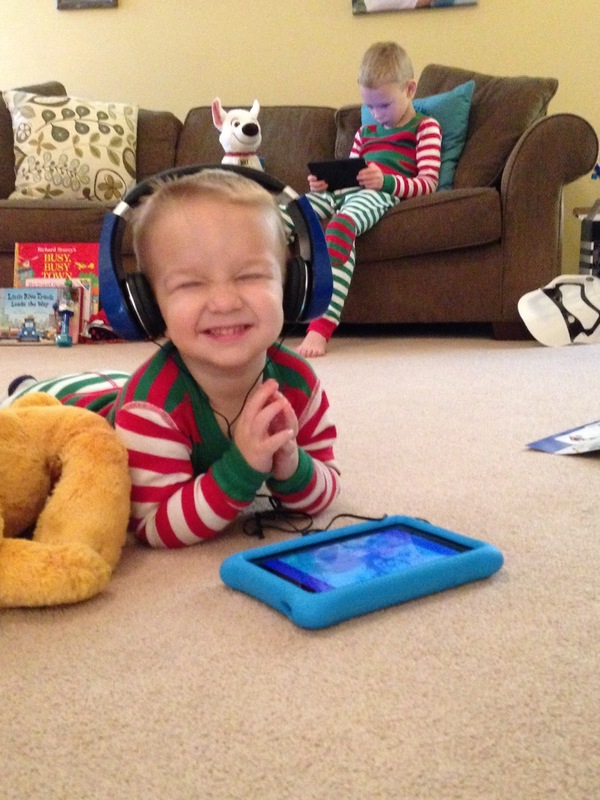 The boys' big Santa gift was Kindle fires - they were a big hit! We loaded them with books, games and apps. Jammin' on his new guitar! I love the JOY on Chase's face opening his K'Nex! 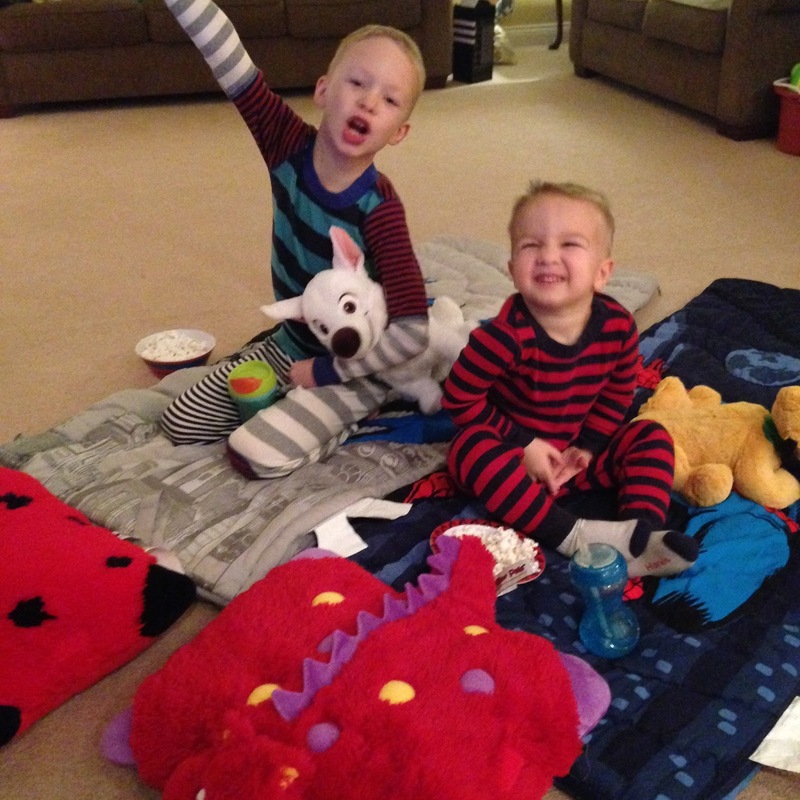 The boys gifted each other movies this year! 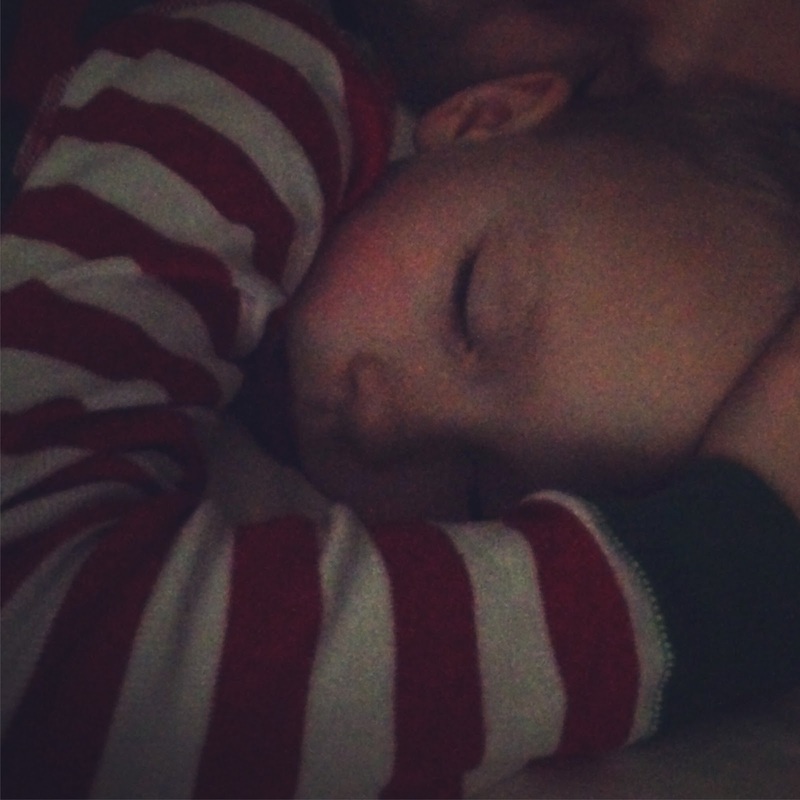 Chase originally woke up around 4:30 and was up until around 6. He finally went back to sleep until 7:30 and EVERYONE took a little nap later on - it was a true Christmas miracle! The boys watched Paddington Bear Christmas evening and Chase is declaring the day the "best day ever!" in this photo. We had such a fun day today, I will never forget the joy and laughter that filled our house all day long!